(At 10:30 AM MST Sunday). (At 11 AM MST Sunday). 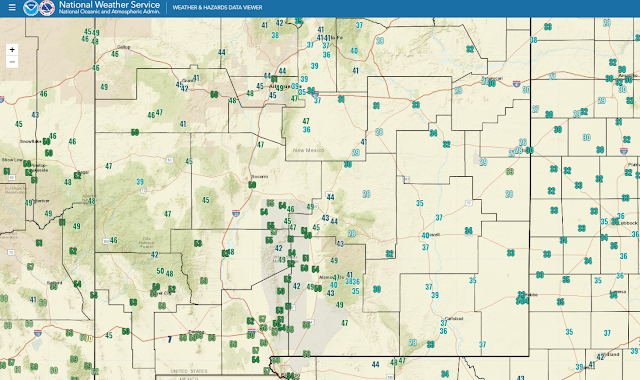 Cold air has dammed up against the east slopes of the Capitan, Sacramento, and Guadalupe Mountains as of 11 AM MST this morning. 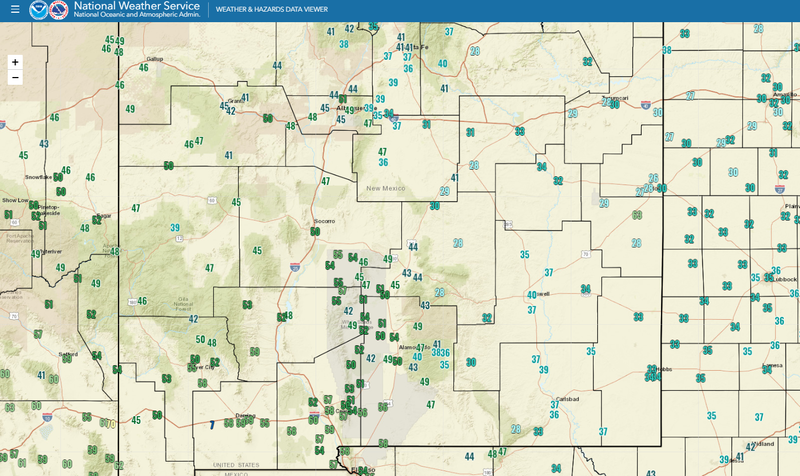 It was warmer in the mountains (40's) than it was across the Southeastern Plains where most of us were still in the 30's. 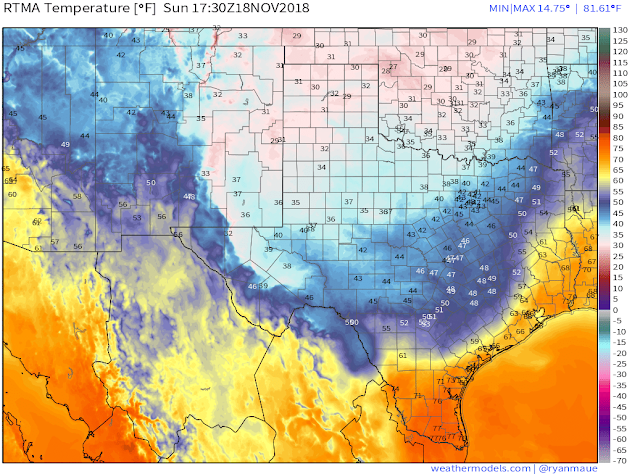 This just means that the colder air mass entrenched over us is rather shallow and unable to penetrate much further west than the east slopes. 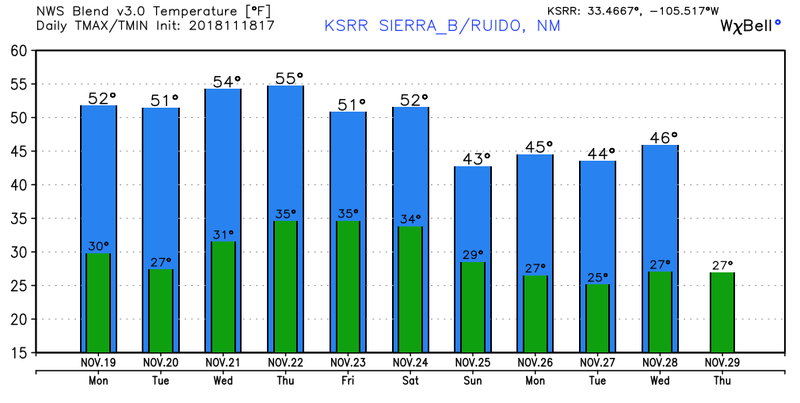 Note too the 50's in the Tularosa Basin and in the Las Cruces and El Paso areas. 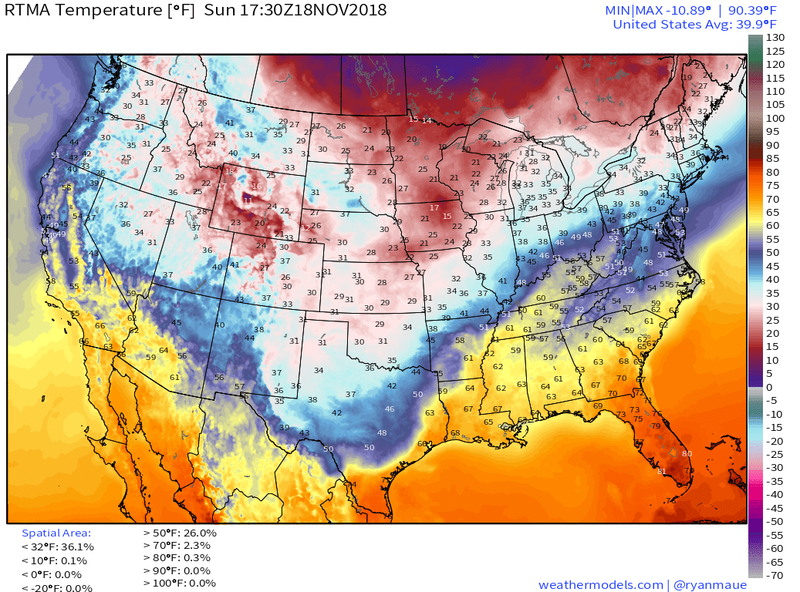 What's really wild is when shallow very cold arctic air masses are banked up against the east slopes of the mountains (December, January, February) with temps across the Southeastern Plains in the teens while the mountains are in the 50's and locations west of the mountains are in the 70's. 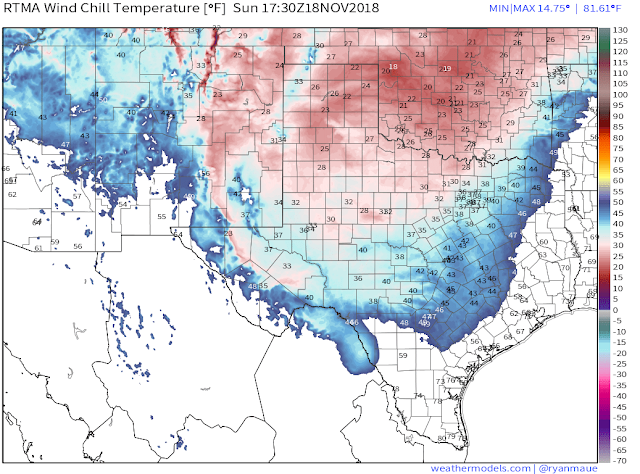 On rare occasions those arctic fronts will hang up over the local area and we can and have seen temps in the 70's and 80's in the Pecos Valley while the Clovis and Portales area and points northward are in the single digits and teens. 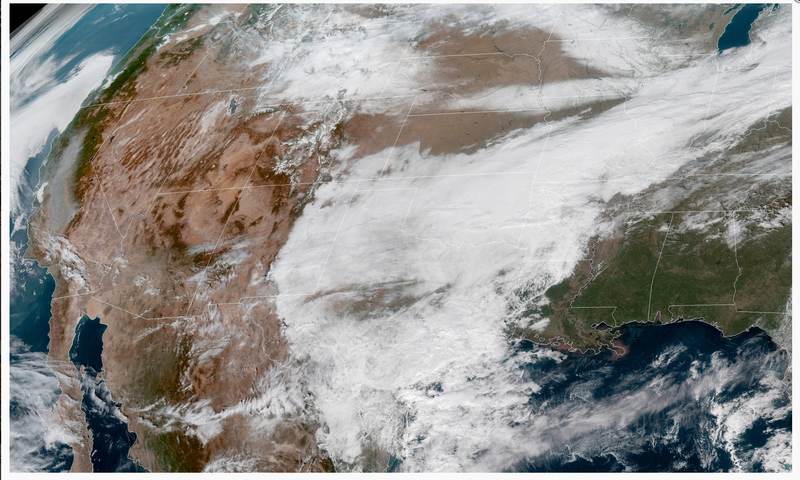 Low clouds can clearly be seen in the latest visible satellite image above. 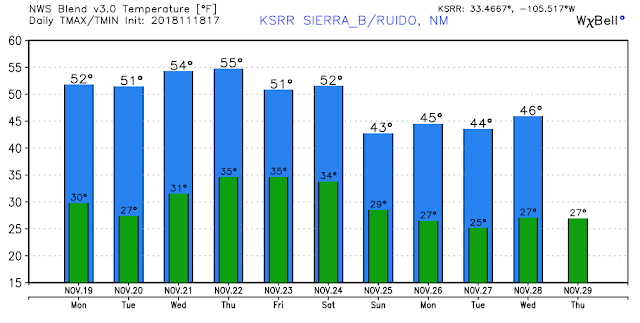 Notice how the end right along the spine of the Central Mountain chain running north to south through New Mexico. That pretty much indicates where the cold front lies too.